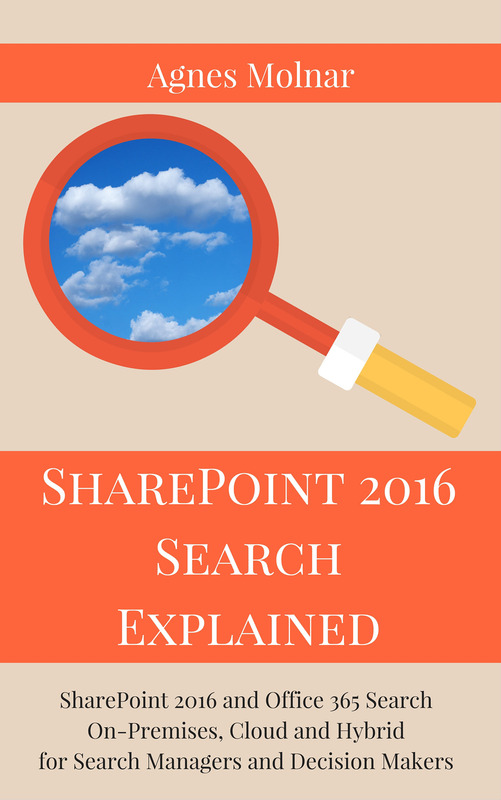 SharePoint 2016 Search Explained – E-book is Available for Pre-order! SharePoint 2016 comes with major changes in how Search works, including a new and enhanced Hybrid Search model. I am happy to announce that my next e-book, SharePoint 2016 Search Explained: SharePoint 2016 and Office 365 Search On-Premises, Cloud and Hybrid for Search Managers and Decision Makers is available for pre-order now! Regardless of whether your organization is on-premises only or in the cloud with some content and/or applications, this book will help you create a search strategy when considering SharePoint 2016. The next book, “SharePoint 2016 Search Explained for IT Pros” will be published later this summer.